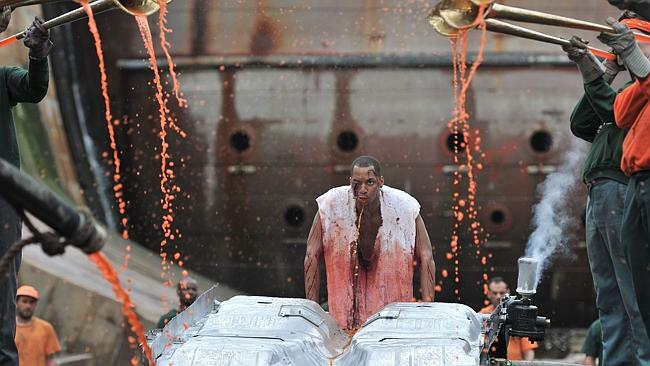 Matthew Barney's exhibtion River of Fundament will be on view at Haus der Kunst in Munich from March 17 - August 17. The exhibition will contain sculptures, drawings, and other works related to Barney's recently-released six hour film of the same name, based on Norman Mailer's novel Ancient Evenings. In conjunction with the exhibition, the film will have it's European premier at the Bavarian State Opera on March 16. Tickets are already sold out, but Haus der Kunst has promised to present additional screenings (dates tba).